Victoria Dakajos recently graduated with a major in Agriculture and Consumer Economics and a concentration in Public Policy and Law. She completed a double minor in Communication and Political Science and is planning on attending law school. She wrote this piece while enrolled in PS 418 ‘Language and Minorities in Europe’ during the spring of 2016. 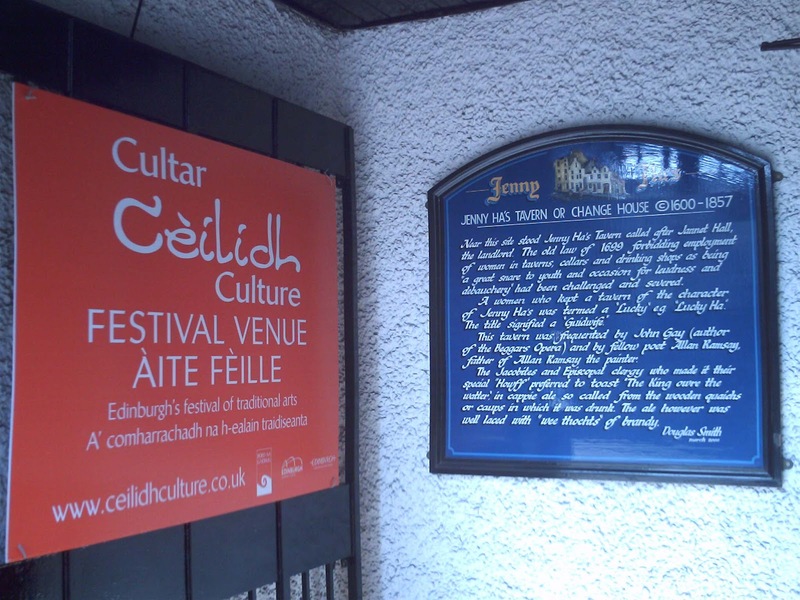 Scottish Gaelic, which is one of many minority languages in the European Union (EU), is undergoing revitalization and becoming a more commonly spoken language in Scotland. 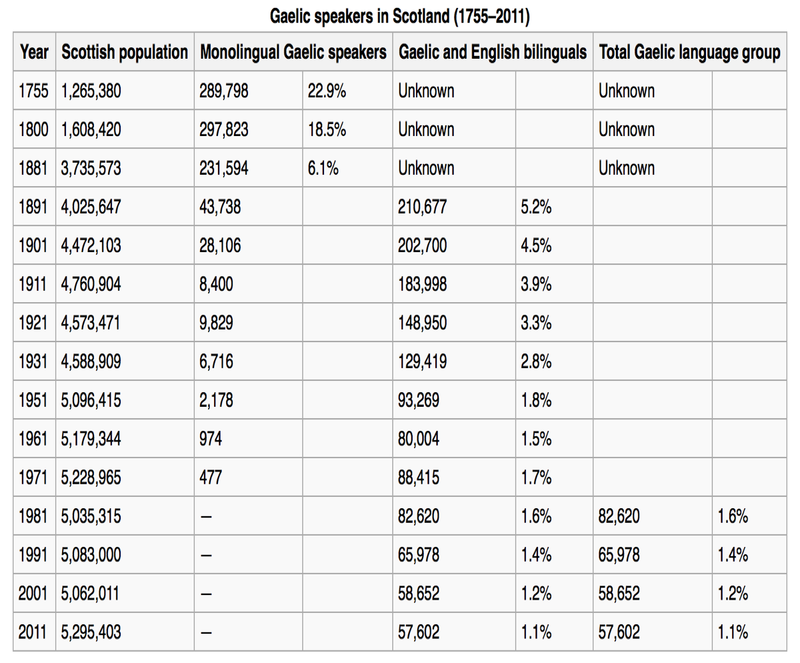 According to the 2011 Census (Nance, 2015, p.555), there are approximately 58,000 people that speak Scottish Gaelic, which corresponds to only 1% of the Scottish population. Most speakers are traditionally from the rural highlands and the Islands of Scotland. As it increasingly becomes part of the daily vernacular, the younger generation is beginning to speak Scottish Gaelic more but with a bit of a twist. The younger generation is growing up with English as their first language, and the Scottish Gaelic that they are learning to speak is changing and different compared to how the older generation used to speak it. The change is mostly due to the new immersion schools also known as Gaelic-medium education. Research has shown that when a person becomes bilingual, one-language’s features, mainly the native language, transfer to the second language that the person is learning. As Claire Nance says in her paper, “The structure of the community-dominant language may influence the direction of change in a minority language” (Nance, 2014, p. 15). This explains why many of the younger people feel that they do not have a Gaelic speaking accent because they did not grow up learning the traditional way to speak the language (Nance, 2015, p. 556-557). What they mean by accent is that they do not use the proper Gaelic lateral phonetics and use more of the English phonetic variation. The older generations of Gaelic speakers are limited in their literacy skills because they spoke the language in their homes, at work, and on the playground. In school, however, they were only able to speak English. Unlike the younger generation, the older Gaelic speakers “learned English via immersion when they first attended school” giving them less practice to learn how to read and write the language (Nance, 2015, p. 3). The younger generations of Gaelic speakers learn half of their lessons in Gaelic, while the rest of their lessons are taught in English because of a shortage of Gaelic-speaking teachers. One can noticeably see the difference in the language change by studying the pitch accents and how the generational accents compare. In her paper, Nance discusses that languages are divided into three broad categories: languages that make use of lexical tones such as Scottish Gaelic, languages that do not use lexical tones such as English, and languages that partially use lexical tones like Japanese (Nance, 2015, p. 4). Lexical pitch refers to the tone patterns in Scottish Gaelic. It has been suggested across Indo-European languages that lexical pitch accent systems are very rare and may eventually be lost, which is why we can see this language change between the generations. Researchers think there can be many potential explanations, but one of the most common explanations for the lack of tones in the young generations’ Gaelic is because of the English language and how it does not have a lexical pitch accent prosodic system (Nance, 2015, p. 11). 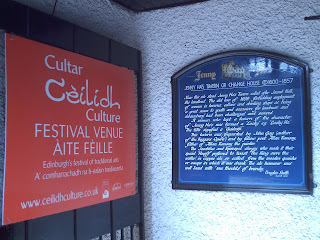 The younger speakers instead collapse Gaelic lateral categories so that it is more similar to the English system, and “Some young speakers produce laterals which are phonetically more similar to those reported to their dialect of English, than those of the older speaker groups who grew up in Gaelic-dominant environments” (Nance, 2014, p. 15). Another reason that we are seeing the change in Scottish Gaelic is that the younger generation is learning their Gaelic through immersion schools. Although most of the teachers are of the older generation and most use the dialect with the lexical pitch accent, it is possible that they received a more dialectally mixed input in their learning. Pronunciation was very rarely taught in immersion-type schools, which would explain why the lexical pitch accent would not be taught in the younger generations’ courses. In the end, we can see from the facts presented here that the increased use of English among the younger generation speakers has contributed to the loss of lexical pitch among the younger speakers compared to the older generation. As explained above, most bilingual people use the features of one language and transfer it to the second. This is where we see a language change because younger Gaelic speakers use English features and especially lexicon, when speaking Gaelic. It is as if we see code-switching (CS) or language-mixing (LM) which means the “alternation of the two languages is locally meaningful within the conversation” (Smith-Christmas, 2016, p. 64-65). This describes why we are seeing such a language shift from the “new speakers” because they are mixing their two spoken languages together. 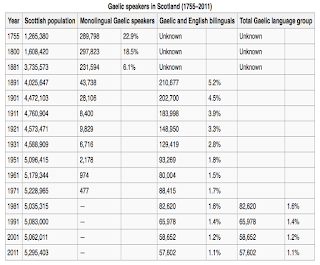 We do see some differences when looking at people who come from parents with a Gaelic-speaking background and those who do not; we are still seeing this language change/shift even in the highlands where most Gaelic speakers live. In the future, we will start to notice the lexical pitch accent that older Gaelic speakers use will not really be needed anymore to be able to communicate.